What is Six Sigma Training and why is it important? Most organizations that try to offer high quality products and services as well as reduce waste and increase efficiency use The Six Sigma methodology. But what is Six Sigma? The Six Sigma Method was originally created by a fortune 500 company. It was a way to reduce waste and reduce the costs that occur when developing products and services. Six Sigma training teaches methods heavily based in statistics to solve any issues with the current processes. Six Sigma is a process that measures outputs, then compares the results with what is considered a perfect rate of production. Specifically, Six Sigma methodology can identify issues in processes that cause waste. Often, the workers are unaware of these issues, and also upper management. Therefore, it becomes very important to carry out Six Sigma training at all levels. If Six Sigma training is not used, it could result in rework and delays in finding solutions and developing new products. Knowing the importance of Six Sigma training at both the lower and the upper management levels is essential. The benefits of Six Sigma training have been proven by corporations and the people that have received accredited training. The use of this approach has helped many businesses around the world. Because of the success of the Six Sigma strategy, many companies decided that they wanted to create the same success that corporations before them achieved by using Six Sigma Strategies. Regardless of the industry, the Six Sigma Strategy works the same way, and produces the same benefits. There are many benefits of Six Sigma Training. If there were not proven benefits from utilizing this strategy, people would not enroll in training courses and employers would not invest in training its employees. Understanding the benefits associated with implementing the Six Sigma Methodology is usually helpful to business leaders in their effort to improve. An initial benefit of Six Sigma is that it applies across multiple industries. The strategy is geared towards achieving the same results no matter the size, industry, or location of a company. Cost savings on per unit produced are also typically seen. The lower cost of production is linked to shorter output times and less waste of raw materials. These cost savings provide the money to reinvest into the company which attracts investors. Better customer service is also a benefit realized by companies that implement Six Sigma. Consumers that get defective products or bad customer service often take their business to competitors. This costs the business money and hurts the company’s reputation. Creating products and services that are perfected to the Six Sigma level avoids the effects of unhappy customers. Carrying out the Six Sigma process can also include increased employee morale. The Six Sigma model focuses on teams and promotes continual training. This is related directly to higher levels of employee buy-in and better attitudes. This secondary benefit is also responsible for being able to reach the highest Sigma levels. The primary concept that the Six Sigma methodology stresses is building teams and teamwork. These teams are made of individuals in a tiered-level hierarchical system that is similar to systems that exist in karate. In fact, this Belt Achievement System even uses colors to designate the experience level that each member has under his or her ‘belt’ so to speak. There is the yellow belt, green belt, and black belt. Teams are set up with a mixture of individuals who possess these different belt certifications. Every member of the team is given a role, set of tasks and responsibilities that they must complete. Every individual that participates in Six Sigma training will earn a specific belt color, based on the level of training they have achieved. In order for the individual to be able to be put in charge of a specific project, they must obtain a designated colored belt, most often, a Black Belt. The only way to obtain a higher color belt is to achieve the previous color belt, and work your way up the ladder of training levels. By implementing a teamwork setting, it makes every member of the organization feel important. These employees will feel like they are all working towards the same goal; helping you make your organization great – the best that it can possibly be. Six Sigma not only helps to enforce teamwork in an organization, it also can help identify and create leaders as well. Aside from locating leaders within your organization, the Six Sigma strategy also strives to organize and perfect your processes and tasks. The strategy helps to assist organizations with finding systematic methods analyze current processes and identify areas of improvement. This will help speed up production, and ensure that everyone is doing their part at the same time. One of the key advantages of Six Sigma is that it helps in reducing overhead costs. Many organizations provide Six Sigma training to existing employees, to avoid the costs of hiring outside Black Belt and Master Black Belt Consultants. This means that once the employees complete the training and receive certification, those employees can share their knowledge and train the new workforce. Several years of research and studies have shown that employees tend to be resistant to change. When employees hear about the introduction of Six Sigma in their company, they might not respond positively. If employees are uncomfortable with the entire concept of Six Sigma, it could affect employee performance. Many employees fear that they might lose their jobs because they won’t be able to adjust with the changes or because their job will be eliminated. This can result in the lack of cooperation from the employees, which is crucial throughout the Six Sigma process. 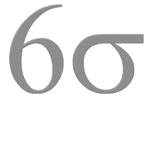 Six Sigma comes with highly technical methods of analysis and implementation. If employees are not prepared for this, it could lead to the failure of the entire Six Sigma strategy. It is important that workers participate in training to remove resistance to working alongside Six Sigma professionals and the changes that will result from the Six Sigma project. If the employees are not familiar with the processes involved during a Six Sigma project, they will not be able to manage the organizational changes effectively during the implementation stage. Having a professional Six Sigma expert is the best option to train and familiarize the employees with the entire technical process. Therefore, it is important for management to understand the importance of Six Sigma training and the need to implement it at all levels of the organization. Although the training covers all the aspects of the Six Sigma methodology, some additional meetings can be held to manage employee expectations. There are a number of common Six Sigma project management concerns that make it difficult for some companies to achieve the most benefits from these programs. These concerns are usually rooted in a variety of emotions, not in facts. Business owners themselves can be resistant to adopt new practices given that they might undermine the very procedures and processes that started the business. A lot of people feel that if a process seems to be working, why change it? Perhaps a specific method has proven successful in the past, but has become outdated in the changing business environment. Companies continue to use outdated practices, however, simply because these things are a part of their comfort zone. It keeps them connected to the past and past successes. Companies must recognize that even processes that get the job done can still be wasteful and inefficient. One thing that a lot of organizations fear is that if they speed up production, that they lose the ability to create a high quality product. This is not true with this strategy. In a Six Sigma Company, when production speeds up, there is a lot of emphasis put on creating a high quality product, while reducing the amount of waste in creating that product. With increased production, and less waste, the revenue the organization brings in will increase; the ultimate goal most business owners look forward to. Resolving Six Sigma project management concerns is something that is aggressively stressed in Six Sigma training. Managers are encouraged to become proactive and engaged as they are taught how to lead their teams effectively. They are also trained to become good motivators so that they can show all other parties how new or improved and more efficient processes will benefit all parties, both individually and collectively.